I want to thank those who have donated their radios to this collection. This online gallery is dedicated to those who love this old technology and wish to preserve it, as well as to promote participation and to inspire those in the radio collecting hobby! Please note that the radios in this collection are not for sale. Donations of old radios to this collection are accepted. For those wishing to donate a radio please make sure your radio is not already listed here on this site. I do not have room to store duplicate radios! When a donation is made, the person donating is given credit next to the radio on it's information panel in the Photo Details. Please contact me prior to shipping the radio to arrange shipping and delivery. 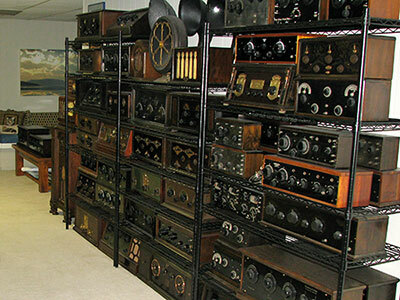 Please look at all of the radios in this collection. I hope you enjoy this website!